This time last year I launched ‘blossom + sprout’ – my online magazine showcasing all that is good about growing, sowing (and sewing!) baking and making a simple country life here in Gippsland. The seed of ‘blossom + sprout’ had long sat in the depths of my creative consciousness, and I am so proud that it grew to fruition. But to produce such an epic piece seasonally, entirely solo, was unfeasible…so blossom + sprout will be shelved for now. 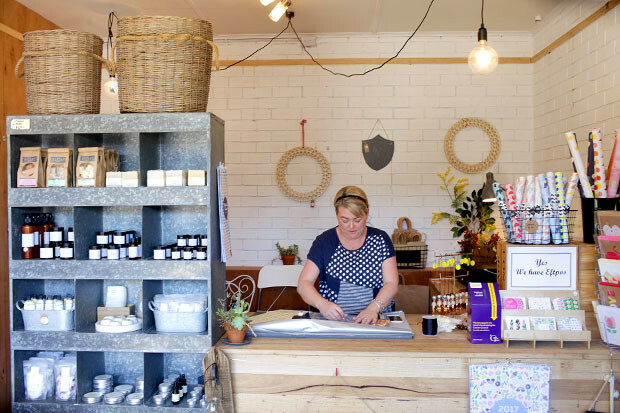 But…all that was in the e-magazine I want to continue here on She Sows Seeds – more recipes, more sewing and craft projects, and more stories about local businesses, cafes, retail spaces and Gippsland folk doing their thing. So, you’ll be seeing more of that right here in blog form, all free and scrollable and shareable and in the one online space for my She Sows Seeds community to engage with. Enjoy! And what a gem! Little Flea Store can be described as the little shop with a lot of heart – from colourful scarves to sweet children’s toys, pretty stationery and delicious soaps, every nook of the small space has been dedicated to owner Bec Ladds keen eye for things of beauty. 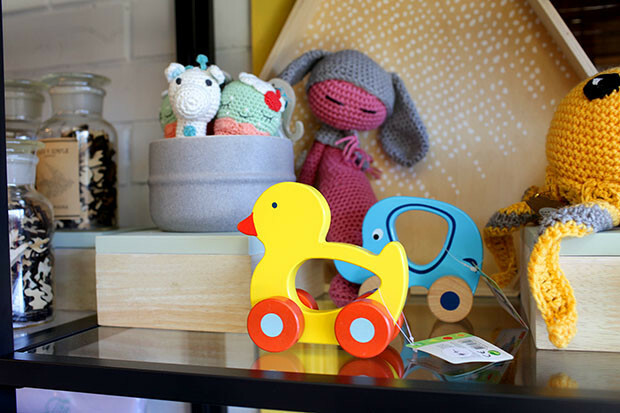 Bec says her love of homewares, merchandising and wanting to stay close to her children upon returning to the workforce lead her to delving into the world of retail. 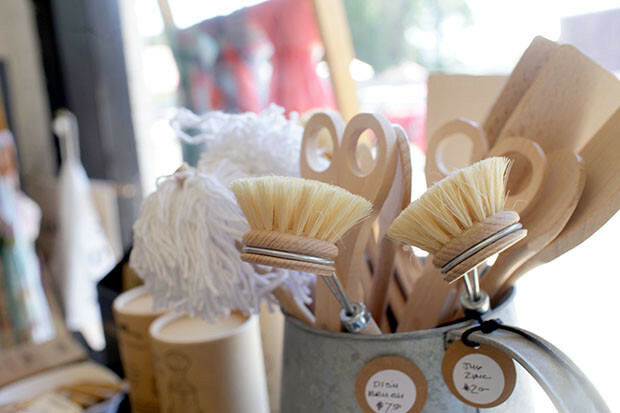 After making the tree change to Neerim South five years ago, Bec saw the opportunity to carve out her own dream job, opening a gift shop in the small community. 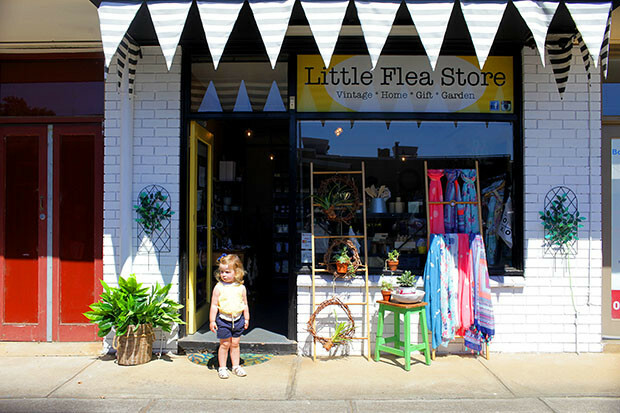 Little Flea Store opened it’s doors in April last year, and since then Bec says she has ridden the ups and downs which come from a new business in a rural setting, but has been pleasantly surprised with the little shop’s success. “The most rewards are seeing the business grow. Seeing the stock build, the foot traffic build and, of course seeing sales build. 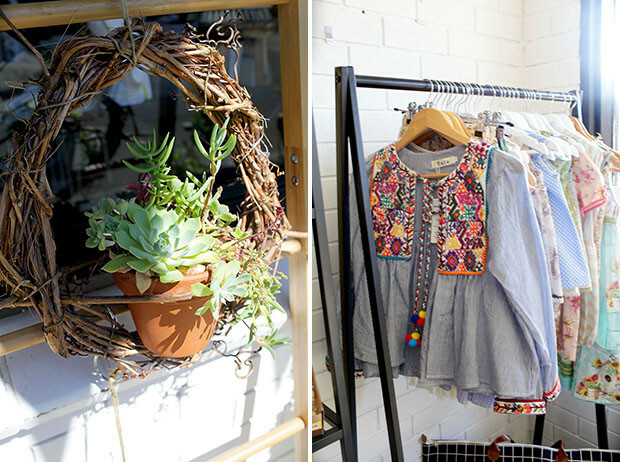 It’s a good feeling knowing people are enjoying my shop.” With a loyal Instagram following, Little Flea Store has created a buzz in social media which has in turn attracted likeminded creative small businesses to become suppliers, and Sunday drivers to point their cars towards the Neerim South hills. 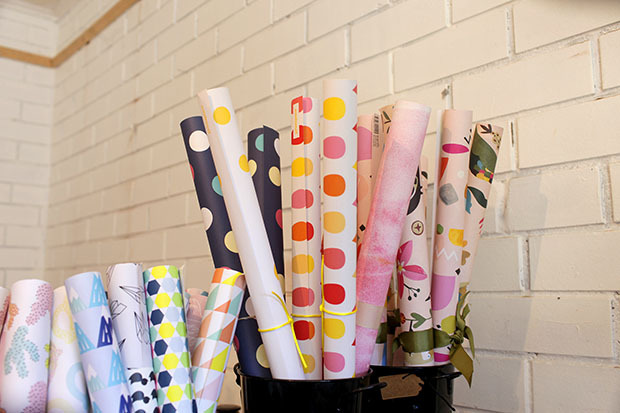 With an intention to support local wherever possible, Bec sources a lot of her stock from nearby makers and creatives, she says working with locals and fellow small business owners who ‘get it’ is both satisfying and offers ease of logistics. Little Flea Store definitely has a community feel to it, people pop in delivering new stock, buying a few gifts themselves while they’re at it. Being a specific destination for gift buying has been the biggest success, Bec says. 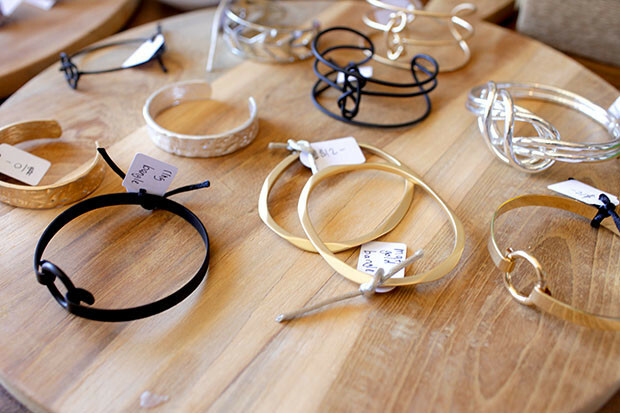 Whether it be for a new baby, Mothers Day (see those gold hammered bracelets, husband?!) a special birthday or housewarming (succulent wreath anyone?) 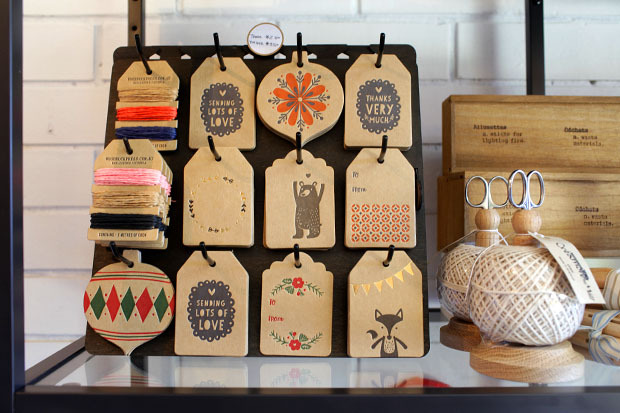 Little Flea Store makes you immediately start thinking about the next event in your circle of friends that you need to buy for! 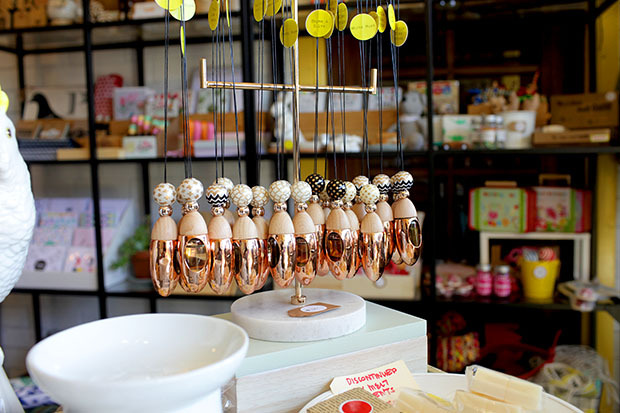 Bec has also found that a lot of locals in need of a last minute gift, or a simple indulgence for themselves, have found the little shop handy rather than having to drive into the nearby bigger town of Warragul. 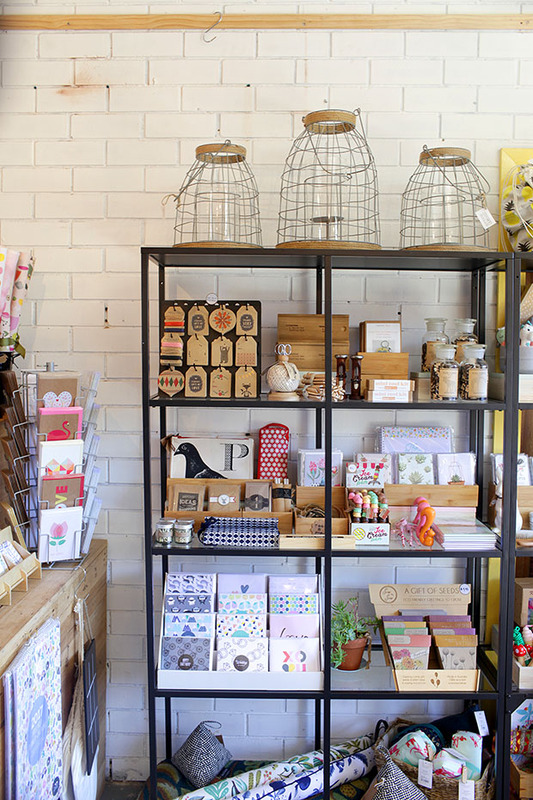 In a small town outside of a major regional centre, it’s heartening to see a business like this growing – and blooming! The lack of floor and shelf space has been challenging for Bec, but casting your eyes around the cosy space you can see it’s very carefully and lovingly curated as a result of space constraints. 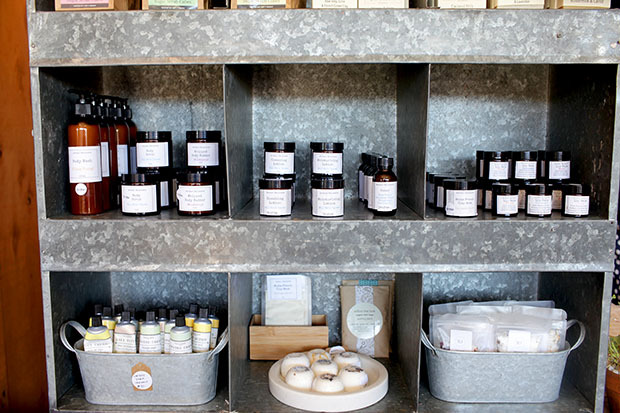 Less is always more in my books, yet somehow the little shop has a sense of abundance and subtlety all at once. 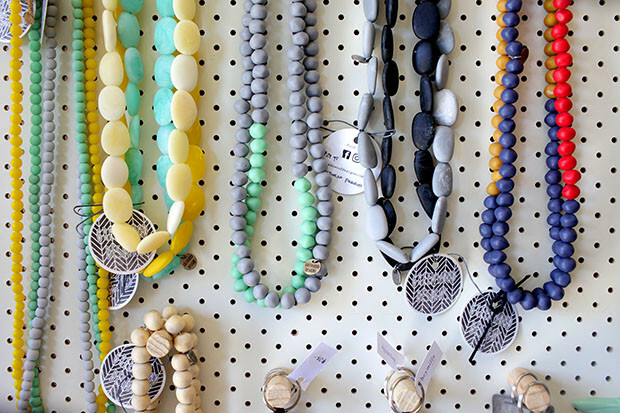 Handmade necklaces sit happily alongside delicious smelling candles, the sweetest handmade baby rompers hang welcoming custom orders and the best selling (and locally made) rose gold bullet diffusers dangle happily. 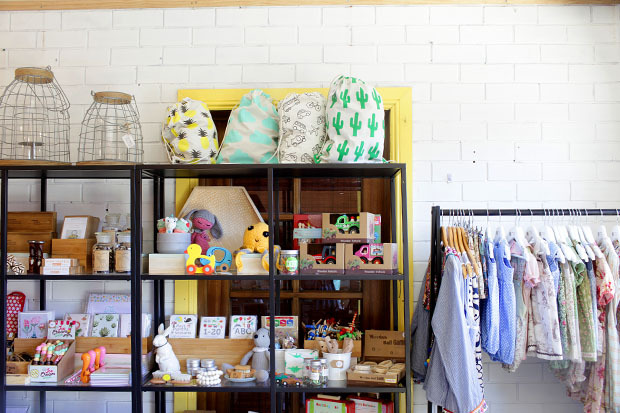 And that’s just what Little Flea Store is: a happy little corner of our neck of the woods, finding it’s feet with the help of Bec’s styling skills, and marking a colourful stamp on sleepy Neerim South. 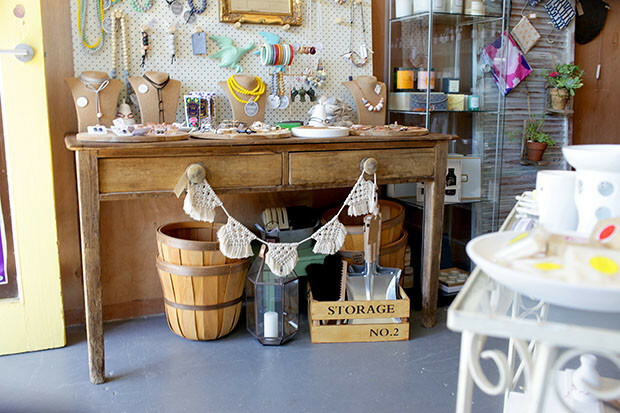 Charming, eclectic, delightful – truly the little store that could. 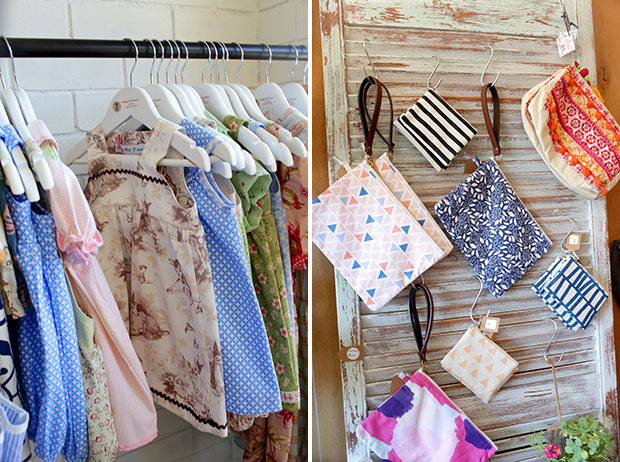 Little Flea Store is located at Shop 2/125 Main Street, Neerim South. You can follow along on Facebook here or Instagram here. Bec is open Tuesday – Friday 9.30-4.30 and Saturday 9-12. Beautiful post with such wonderful prose, Emma! I definitely want to check this store out now. I love shops like that, you never know what you will find.